Oh, one thing maybe. 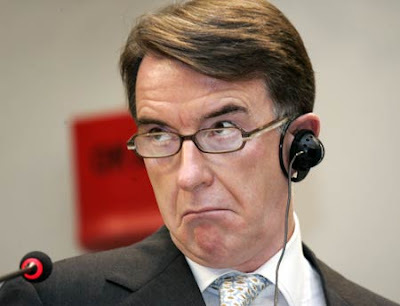 Peter Mandelson wants to replace Sargeant on Strictly Come Blah Blah. Imagine That. Just Imagine. I saw a band called Chairlift on Friday night (I say "saw", it was more like could vaguely get a glimpse through the haze of voddy and my system not being able to cope as a result of giving up the "sauce" for a week). They have good songs but I don't remember being particularly impressed. But then again my recollection is disputable and clouded at best. What can I say, I'm a reprobate.